Insulation warehouse supply warm roof deck anchor fixings to fix the Celotex TD4000 and Kingspan TR31 ply laminated insulation boards. These insulation fixings can be either hammered in manually or easily applied via specialist sds hammer drill bit. When you require insulation fixings to fix rigid insulation boards to a wall then the Poly Anchor is the answer just drill an 8mm hole through the insulation into the wall 30mm deep and tap the fixing into place. The ISF60 fixing can be used where external insulation materials are required such as kingspan , celotex , rockwool , polystyrene etc and can be used to fix directly into aircrete blocks without the need to pre-drill. If you require an insulation fixings where consistent pull out resistance is required even in poor base materials then the nail-in poly anchor is the answer the large clamping head provides excellent pull through resistance. ISF18A are insulated plasterboard fixings similar to the ISF18 but with a countersunk head which makes it an ideal fixing for thermal laminated plasterboard such as the thermaline plasterboard or kooltherm k17 / k18 insulated plasterboards. The ISF35 insulation fixing is suitable for fixing all types of mineral wool insulation and the thermally efficient design help reduce the risk of cold bridging this insulation fixing has a 35mm head and 7mm dia shaft. Insulation Warehouse can supply a large range of fixings for many types of insulation and laminated insulation boards such as insulated plasterboard and flat roofing ply laminated boards, along with the associated tools required to install the insulation fixings . 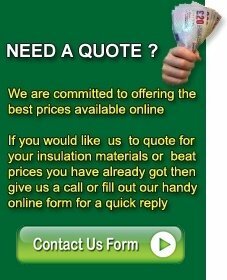 The Insulation fixings shown on this page can be ordered in different quantites and various lengths to suit your project. If you require a different type of fixing then please do contact our sales office and we will be only to pleased to try and help.